From the first time you contact me to the final pick up of your artwork, your experience is what sets Sarah Booth Photography apart. Though careful planning, customer service and attention to detail at every step, you will be guaranteed images you will cherish for a lifetime. Your experience will always start with a consultation. Whether this is in person at my studio or over the phone. This is a great opportunity for us to get to know each other and discuss all the details that go into planning a personalized session. We will discuss any particular props, colour design and or themes, locations as well as clothing that will be used during your session. Starting with the end in mind, we can work together to design a custom session at will produce beautiful stories to fill and album or artwork that suits you and your home. Each session is unique and may take place in studio or on location. My focus is not only on creating beautiful images but also on creating a memorable experience of this time with your babies. Please see session detail pages for more information. The editing process will take about 2 -3 weeks. I will give time and attention to each image to make it perfect for you. 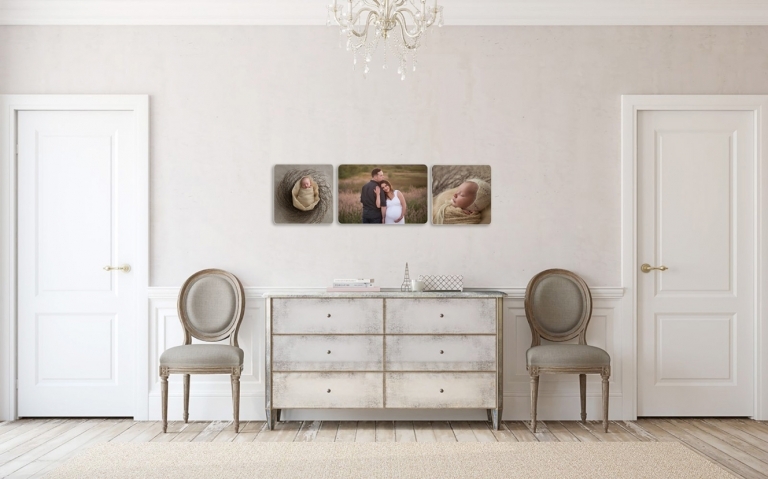 After your place your portrait order reveal you will receive a link to your gallery with your images selection. You will be able to view and share this gallery while you wait for your beautiful products to arrive. If you have purchased a digital collection, they will be available for you through the gallery. Wall portraits, prints and small albums usually take 2-3 weeks. Please allow up to 6-8 weeks for custom designed albums. Session fees are the creative fee accepted upon booking. This fee does not include digital files or prints. Please contact the studio for more information.